Your wedding registry is an opportunity to express yourself as a couple and outfit your home with items you will use everyday and treasure for years to come. 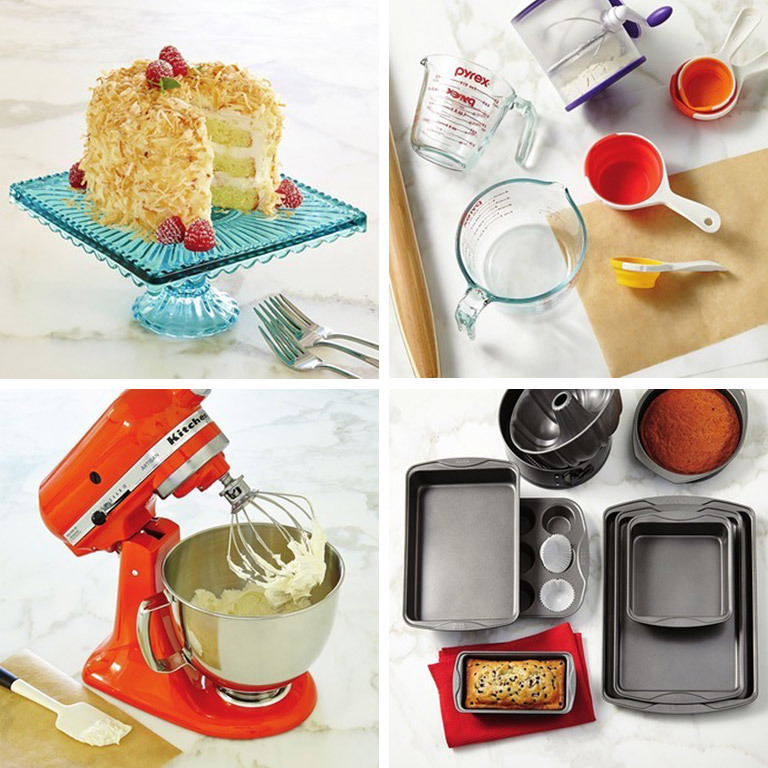 Here are top registry picks from JCPenney for five different types of food lovers. 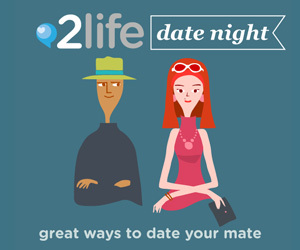 What’s your couple style? You love trying new restaurants and cooking delicious meals together. 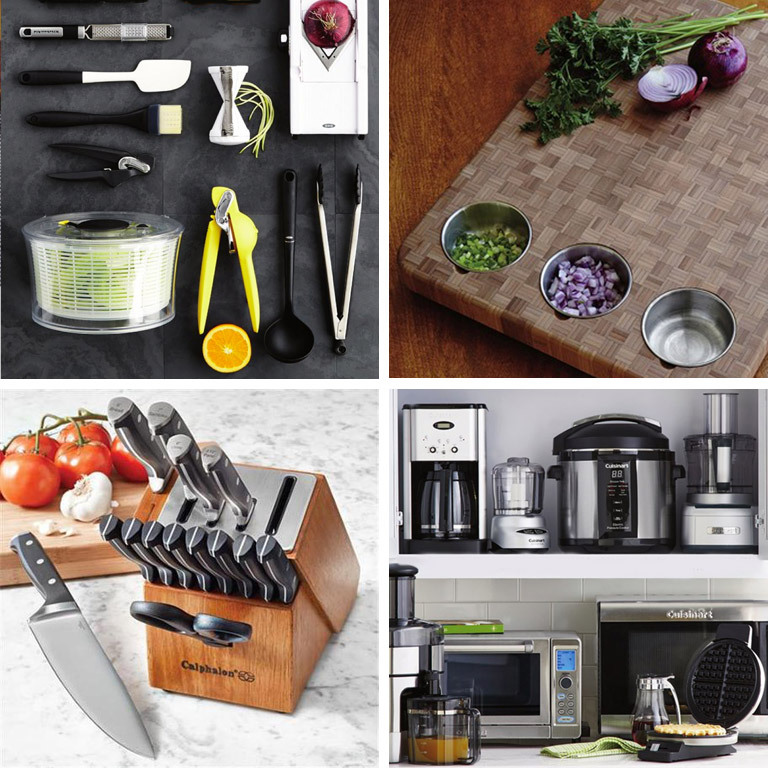 Upgrade your kitchen to include the tools you’ll need to fuel your passion. 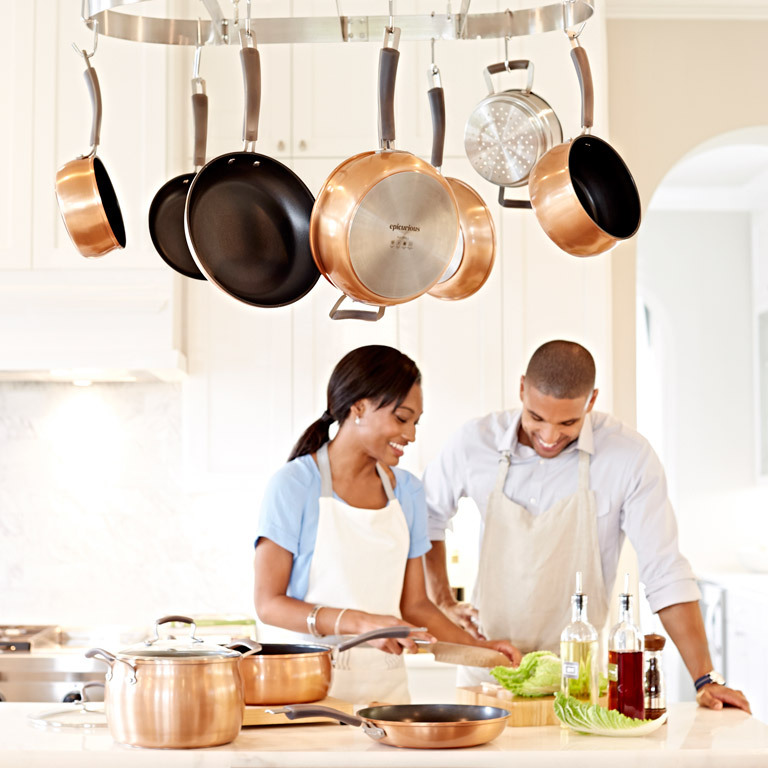 Shown here: Epicurious Copper Aluminum Nonstick 11-pc. Cookware Set, Twin-Pack Fry Pans and 6-qt. Jumbo Cooker; High-quality gadgets from OXO, KitchenAid, Chef’n and Veggetti; Totally Bamboo Cutting Board with 3 Prep Bowls; Calphalon Classic Self-Sharpening 15-pc. Knife Set; Cuisinart countertop appliances. Whether you’re having takeout, mac & cheese or a multicourse meal, you love to linger over the dinner table. Your recipe for romance includes trendy tableware, deep conversation, timeless tunes and a bottle of Bordeaux. 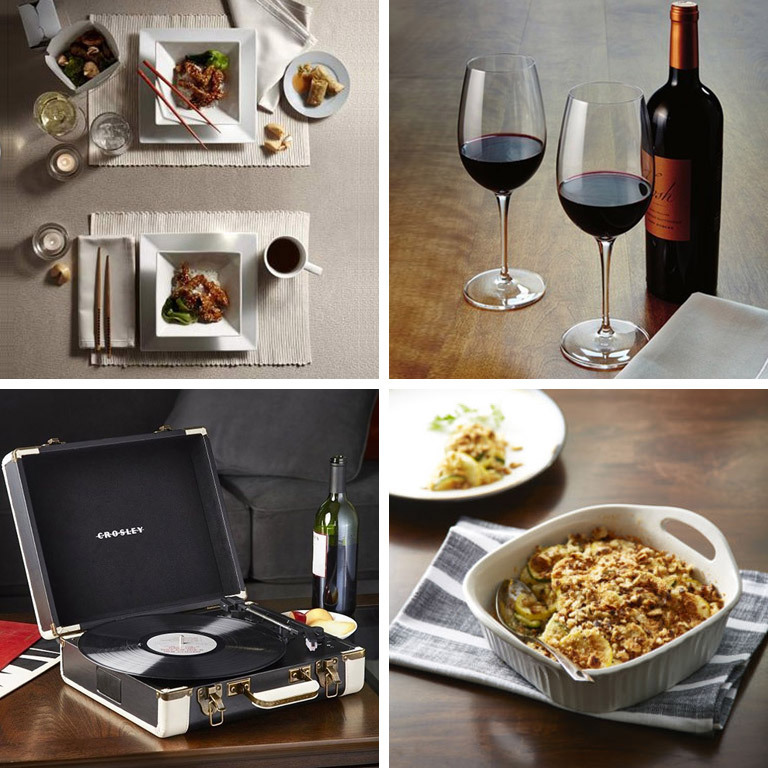 Shown here: His, Hers & Ours decanter set; JCPenney Home Whiteware Square Dinnerware Set; Luigi Bormioli Wine Profiles Juicy Red Wine Glasses; Crosley Executive USB Portable Turntable; CorningWare French White 8″ Square Baking Dish. 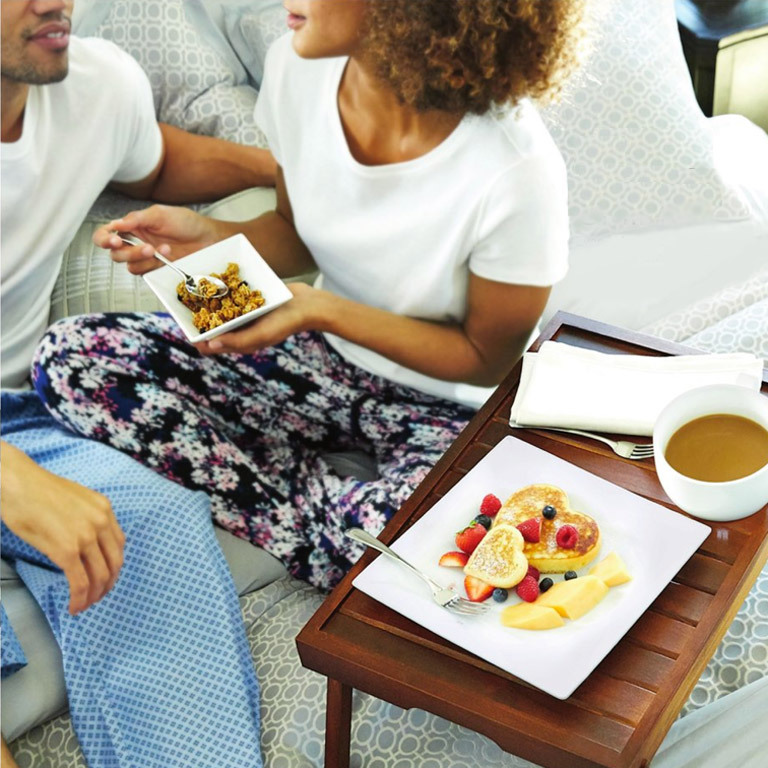 You love lazy Saturday mornings with breakfast in bed and hosting friends for Sunday brunch. These registry picks will help you rise and shine! Shown here: JCPenney Home Whiteware Square Dinnerware; Cooks 10×19” Griddle; NutriBullet Pro 900 Series Blender; Nordic Ware 10” Quiche Pan; Cuisinart Manual Espresso Maker EM-100. You both have a sweet tooth and enjoy baking home made treats for each other and your loved ones. As you celebrate this special time in your life, remember that home is where the heart is! 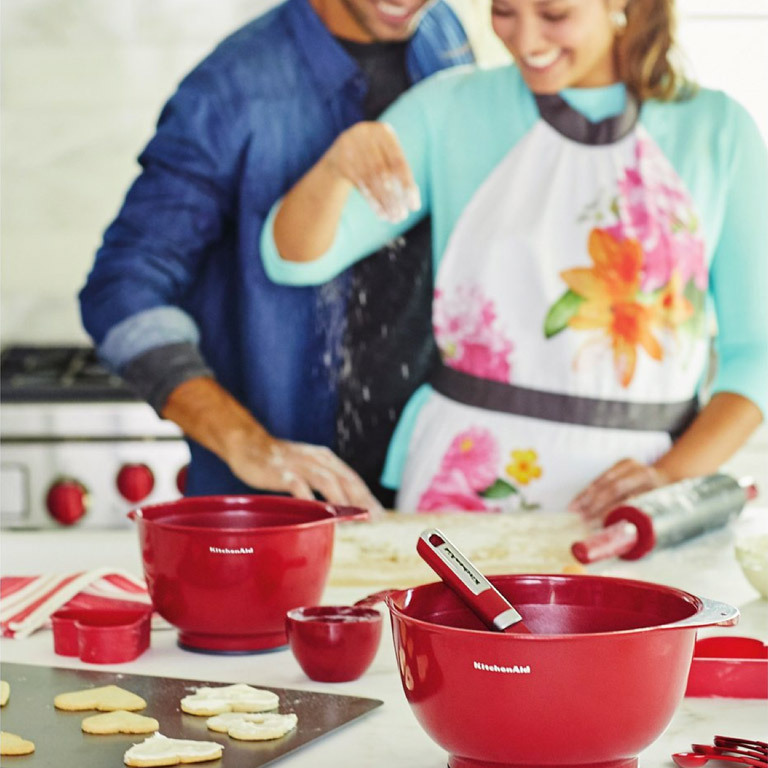 These baking essentials will help you fill it with love. Shown here: Ladelle Cora Apron; Cake Boss 7-pc. Cookie Cutter Set, KitchenAid 3-pc. Mixing Bowl Set and Gadget Set; Gibson Treat Stand; Wilton Flour Sifter, Pyrex Measuring Cup and Chef’n Sleekstor Pinch & Pour Measuring Cups; KitchenAid Artisan Stand Mixer; Cooks Nonstick Bakeware. Your home is the go-to place to watch the big game and for casual get-togethers. 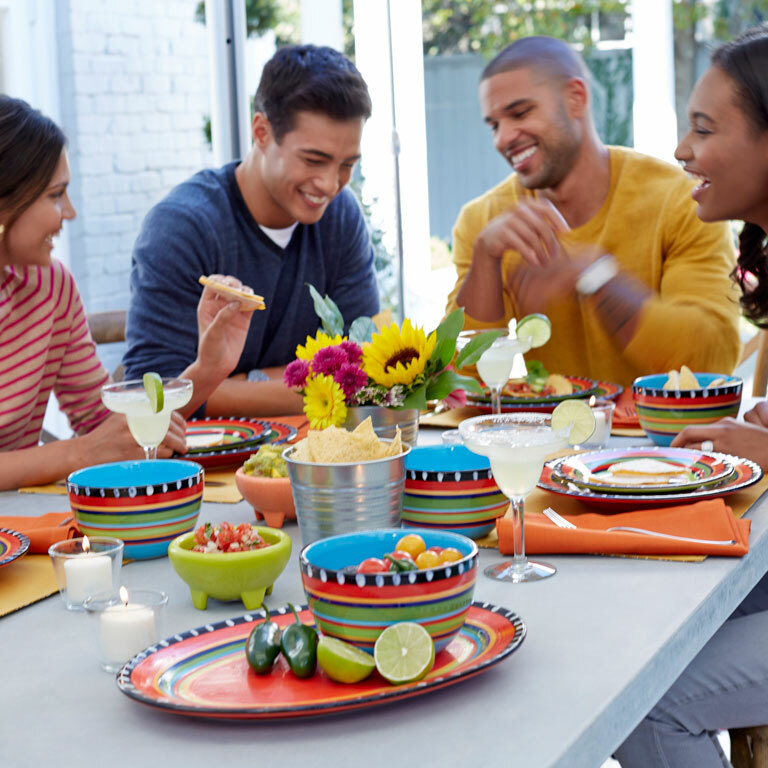 These conversation pieces and specialty items will keep your parties fun and interesting. Shown here: Simplemente Delicioso Pueblo Springs 16-pc. Dinnerware Set and 3-pc. Bowl Set; Thirstystone 7-pc. 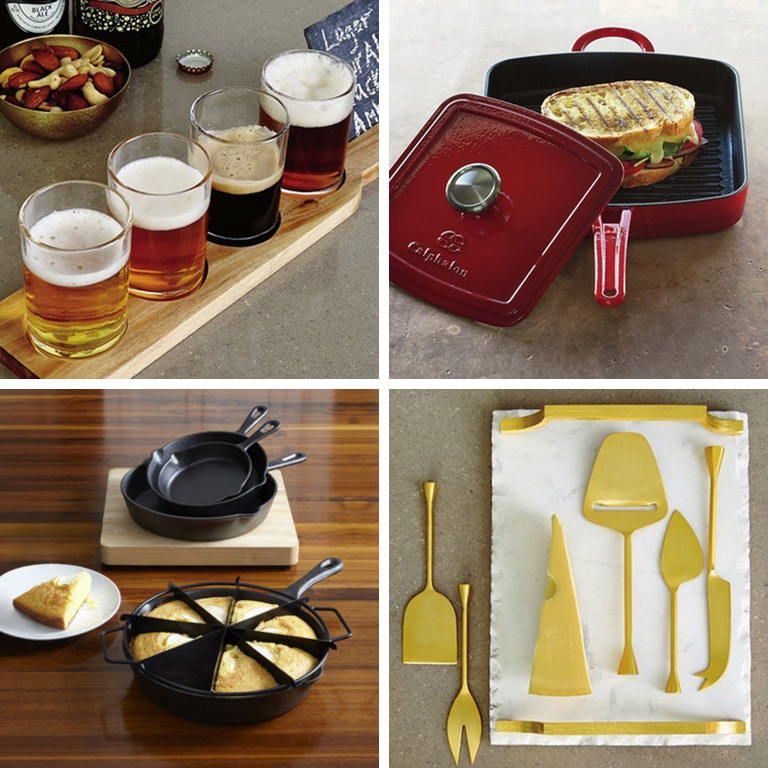 Beer Tasting Set; Simply Calphalon Enameled Cast Iron Panini Pan; Cooks Cast Iron Cornbread Skillet Set; Thirstystone Old Hollywood 3-pc. Gold-Plated Cheese Set. 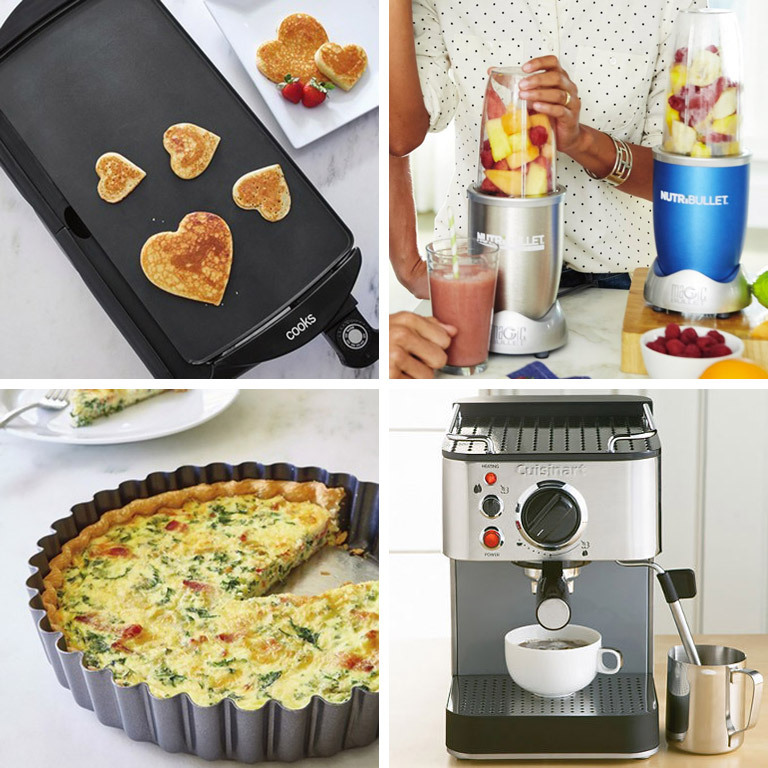 Create your wedding registry at JCPenney. 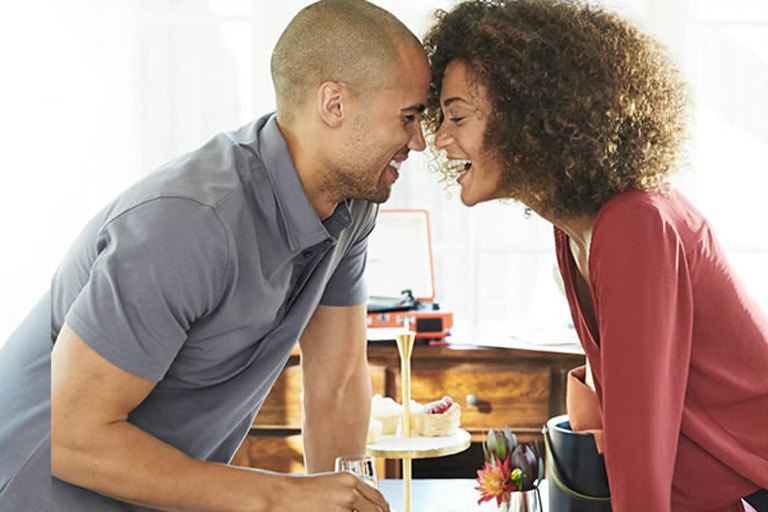 From everyday essentials to life’s little luxuries, JCPenney is your one-stop shop for everything you need to start your new life together. 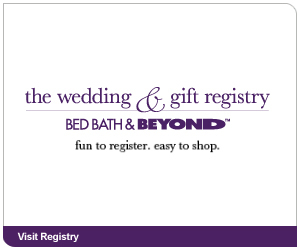 Create your registry online now.